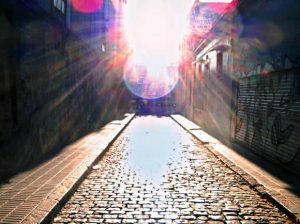 Take a relaxed walking tour along the cobblestone streets of San Telmo. Named after the Patron Saint of seafarers, San Telmo has a long history as Buenos Aires’ most bohemian and culturally diverse neighborhood. Get to know Parque Lezama, the oldest Cathedral in Buenos Aires, San Telmo Market, Plaza Dorrego, the wonderful street art of the neighborhood and charming little backstreets that most visitors never see. Every day, 10:45 a.m./2:15 p.m.
Get a feel for irresistible Buenos Aires on this affordable and popular walking tour, which gives a primer on using public transport (bus, subway, and taxi), and introduces visitors to the city’s most important historical buildings and monuments. Along the way, learn about the importance of tango, football and cultural influences of Buenos Aires’ many immigrants. Every day 9:00 a.m.-2 p.m.
A well-rounded half-day city tour that includes seeing the sights by land and water. Starting in Palermo this tour takes visitors down the famous 9 de Julio, by the Colón Theater and Obelisco with a photo stop at the city’s political epicenter, Plaza de Mayo. After heading through San Telmo, visitors reach La Boca to check out the city’s most famous street, El Caminito. 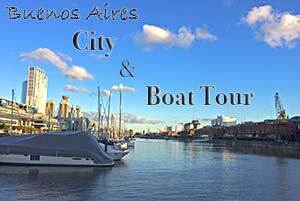 Next the group heads to Puerto Madero for a 30 minute boat ride along the Rio de Plata for panoramic views of the city and green spaces of Buenos Aires’ newest neighborhood. Tour includes pickup for central Buenos Aires. Explore with a small group important buildings in the city center as well as La Boca and Caminito, San Telmo, Puerto Madero and the Ecological Reserve while learning about the history of these neighborhoods. A fun and relaxed bike tour! Helmets and bikes included. 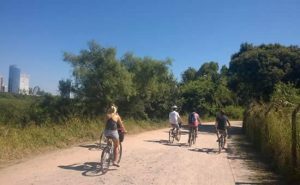 This bike tour pedals to all the top tourist spots on the northside of Buenos Aires. Explore the streets of the french Aristocratic styled-area of Recoleta and wander the famous Recoleta cemetery. 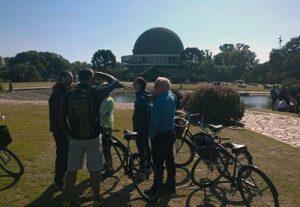 Ride along the panoramic bike path along Avenida Del Libertador, up to the Planetarium and the Bosques de Palermo (Palermo forest). Sat, Sun & holidays 9 a.m.
Meet in Buenos Aires and then take your bike on the train, just like a local. Once in the tranquil town of Tigre, hop on a canoe to reach the remote Delta islands where you can swim or sunbathe and enjoy a typical Milanesa sandwich for lunch. 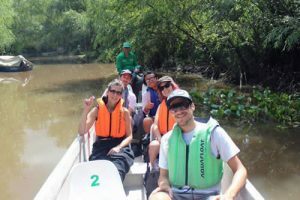 Row back to the mainland and then ride to the Puerto de Frutos and explore Tigre’s downtown before heading back to Buenos Aires. 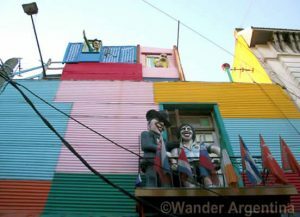 A graffiti tour covering some of the city’s best street art in the neighborhoods of Barracas, La Boca and San Telmo as well as more industrial areas of the city. Visitors also get to see Argentina’s largest piece of street art, painted by Alfredo Segatori. 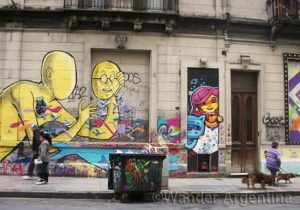 If you prefer to walk, check out the Buenos Aires Graffiti Walking Tour, which takes place every Tuesday, Thursday, and Saturday afternoon. Head to the famous Argentine Pampas, to the charming town of San Antonio de Areco, 116km from Buenos Aires. This is one of the most famous Pampa towns, known for its literary tradition of gaucho life. This tour takes visitors to La Estancia El Ombú, a working ranch that raises Hereford and Aberdeen Angus Stock. Try out stock-rearing activities, ride a horse or horse-drawn carriage, bike in the fresh country air, or observe bird life on the pampas with binoculars provided. You’ll hang out with real gauchos, enjoy live folkloric music and enjoy a delicious asado lunch of the quality you’ll only find on the pampas. This tour is especially popular in November, during celebration of Día de la tradición (Tradition Day), the largest gaucho festival in the country. 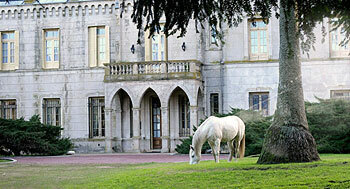 A full-day excursion to the historic La Candelaría estancia (ranch). After a reception with snacks and refreshments, get a tour of the estancia’s Renaissance-style castle (in English or Spanish). The rest of the morning enjoy horseback riding, or a ride in a sulky. Lunch is a traditional country asado that includes a variety of cuts of meat, followed by dessert. Enjoy a folkloric music and dance performance and traditional creole horse game demonstration. The day ends with merienda and the chance to try mate before heading back to Buenos Aires. Mon, Tue, Thur, Fri 2 p.m. 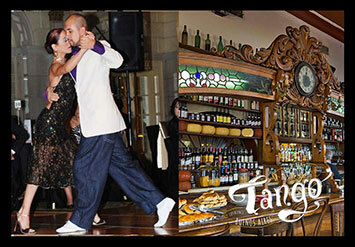 Dive into the world of tango on the Buenos Aires’ Milonga Tour. This tour first takes visitors by the World Tango Museum for a little background on Argentina’s most famous dance. Next the group heads to one of Buenos Aires’ most renowned afternoon milongas, or dance parties, for a class. The last stop is to the nearby Cafe Tortoni for a classic merienda of chocolate and churros (fried dough pastry). Also see our Tango Show & Tango Activity list. Wed, Thur, Fri, Sat 9 a.m.
A day trip to visit Argentina’s second city and the capital of Buenos Aires Province, La Plata. See why La Plata is considered an example of successful 19th century urban planning with its well-layed out tree-lined streets. On this tour you’ll visit the looming neogothic Cathedral, the city diagonals, the Astronomical observatory, the Argentine Theater and the celebrated Natural Science Museum, the most important museum of its kind in South America. Tickets to the museum and transport included. A full day polo excursion to learn all about Argentina’s most exclusive sport. The day starts with an educational talk about polo and the horses over a snack of empanadas and wine. Visitors will then watch a live game using 30 horses, with a bilingual commentator explaining the ins and outs of the game. Lunch is a traditional asado (barbecue) with appetizers, beef and sausages (vegetarian options available) and wine. 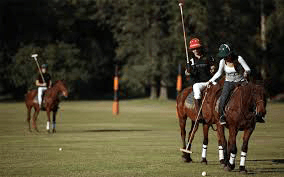 After a break laying around the pool or walking the countryside, there is a polo lesson. No previous experience riding horses necessary. The ultimate Pope Francis Tour in the city where the Catholic holy leader grew up. 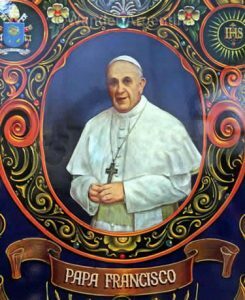 Visit Jorge Bergoglio’s old parish, the Metropolitan Cathedral, where citizens gathered after he was declared pope, the working class neighborhood of Flores, where he grew up and the Basílica San José de Flores, where Francis began his religious vocation. This private tango tour starts off with a snack at San Telmo’s traditional 19th century bar, El Federal. 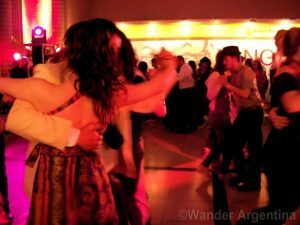 Tango maestro Facundo Gil Jauregui explains the song, dance, culture and codes of Buenos Aires’ tango lifestyle and introduces some important landmarks in the city’s most important tango neighborhoods, La Boca and San Telmo. Next the group head to Jolie Bistro where they will enjoy a drink while seeing a private performance. That is followed by a one-hour class that covers the fundamentals of embracing and walking in Argentine tango. 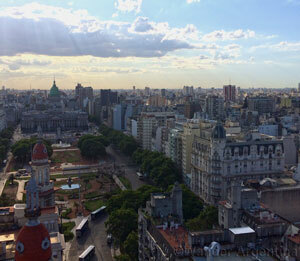 Discover the emblematic buildings of Buenos Aires and the historic events that took place here. This walking tour starts in the city center with its baroque government buildings that date from colonial times. Moving along May Avenue, explore the eclectic European influence with art nouveau, neo-renaissance and beaux arts buildings that recall Buenos Aires’ golden era. See Cafe Tortoni, a long-time literary gathering place, Palacio Barolo, inspired by Dante’s Inferno. The end point is Plaza Congreso and the neo-classical Congress building. Argentina has the largest Jewish community in South America, with about half residing in Buenos Aires. Learn about this rich history from the early Jewish Portuguese immigrant traders, to the influx of those escaping religious persecution after World War II to today. 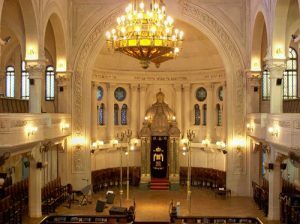 Hear about Jewish cultural contributions from Yiddish theater to hearty cuisine, see Buenos Aires Jewish sites of interest and learn about today’s Porteño Jewish community. A three-hour walking tour exploring the Palermo corners and cafes described in some of Argentina’s best known literature. Texts discussed include ‘Mythical Foundation of Buenos Aires’, by Jorge Louis Borges; ‘Martín Fierrro’, by José Hernández; and ‘The Slaughter Yard’, by Esteban Echeverría. The Feria de Mataderos, is the largest weekly fair in Argentina, with over 10,000 visitors every week. It takes place in the ‘neighborhood of the Argentinean Gaucho,’ right outside the city, once the home to the city’s slaughterhouses. 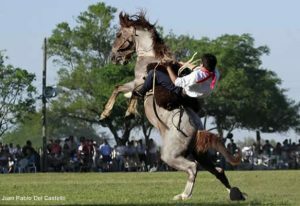 Today rural and urban culture collide at this fair that features equestrian activities, handicrafts, typical Argentine food, and live folkloric music and dance. Enjoy live horse games, dance folklore, explore gaucho handicrafts and have a traditional provincial lunch. Lunch + transport included. Enjoy the more grown-up version of the Buenos Aires’ Pub Crawl — a Buenos Aires’ artisanal beer and neighborhood bar tour. This walking tour takes place in the lesser-known leafy neighborhood of Colegiales. 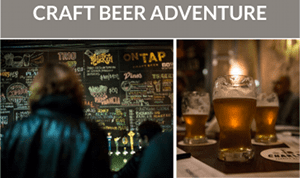 You will enjoy a total of eight different half pints of beer plus empanadas at two microbreweries and one pub, all the while learning about the neighborhood and the history of beer in Argentina. 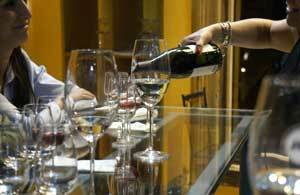 A premium wine tasting in Palermo Soho. Discover six of Argentina’s most celebrated boutique wines from various wine-producing regions of the country. Lo de Joaquín Alberdi is considered an emblematic wine cellar in a picturesque area of Palermo. 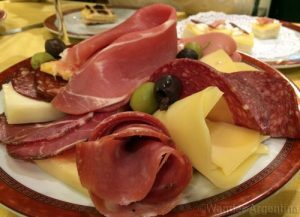 Wines are accompanied by a typical Argentine picada of high-quality meats and cheeses. 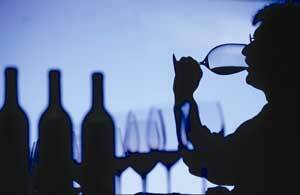 A must-do activity for wine-lovers visiting Buenos Aires. 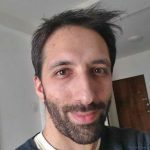 *Les dégustations sont également disponibles en français. A wine tasting that takes you through the principle wine-producing regions of Argentina in the historic Querandi tango house. Starting in the northwest, the sommelier presents a Torrontés with empanadas. From Patagonia, a Pinot Noir with a mushroom crustini. Lastly, a classic Malbec from the Cuyo region is accompanied by beef skewers. A great start to an evening wandering around the most historic district of Buenos Aires. Book with a tango show and dinner for a whole evening. Puerta Cerradas are ‘closed door’ restaurants of Buenos Aires that are not open to the general public. 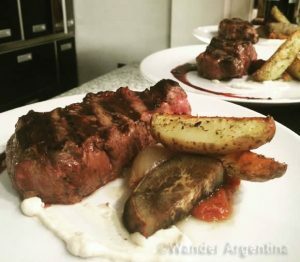 One of the most celebrated puerta cerradas features a traditional family-style asado (Argentine barbecue) in a private loft in Palermo Soho. 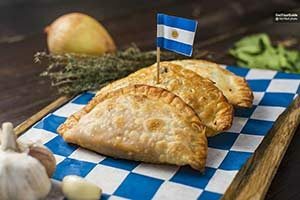 Guests enjoy a five-course meal including a picada (cheese and cold-cut platter), salad, ‘achuras‘ (grilled appetizers), a delicious juicy steak and a traditional Argentine dessert. Each course is paired with a specialty boutique wine chosen by the chef. 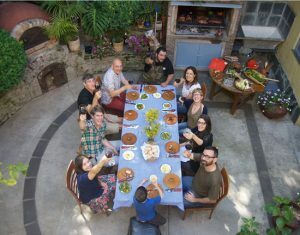 Enjoy a typical weekend family asado (barbecue) with a small group. Shop on the cobblestone streets of Palermo Viejo just like a local, and then help prepare the asado in a family home. Learn how to prep the meat, build the fire, prepare side dishes and then pig-out on meat and Malbec like at any Sunday asado. Eat your way through the historic San Telmo neighborhood on this tour designed to discover the most traditional cuisine Buenos Aires has to offer. This relaxed and social tour hits some of the city’s most famous San Telmo parillas where you learn about Argentine cuts of meat, with plenty of treats along the way. Discuss Argentine culinary traditions, ending with scoops of the celebrated homemade Italian style ice cream. Buenos Aires is known for its wild nightlife scene and for more than five years the Buenos Aires Pub Crawl has led the way for travelers looking to enjoy a raucous night. With a friendly, safety-conscious international crew of staff and pub crawlers ready to have fun, the pub crawl happens every night of the week in the hottest bars in the coolest neighborhoods. Saturdays is the Gay Pub Crawl. 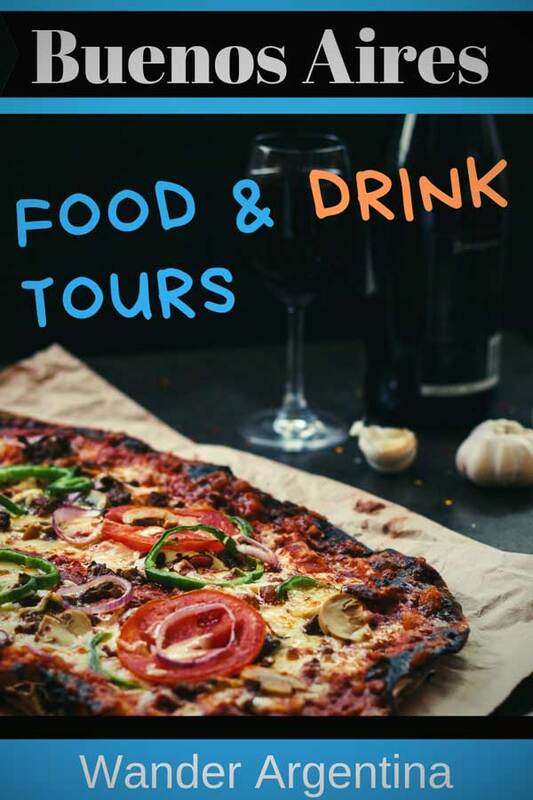 A culinary experience with an intimate group, the this excursion helps visitors get a handle on Argentine cuisine and dining customs at the beginning of an Argentina trip. Learn how to make and drink mate, learn hot to make empanadas, and how to order the perfect steak. Finally the group sits down to enjoy a typical Argentine dinner as the wine flows. Dessert will be alfajores made by guests themselves. Includes pick-up and drop-off. • Please note: prices are quoted in US dollars because the inflationary peso would requires us to change prices every week. ⇒ Go all in and book the Five-day Adventure Tour that includes biking through Buenos Aires most exciting neighborhoods, sky diving or hot air balloon ride, a visit to a ranch for horseback riding, a country asado (BBQ)and much more. ⇒ If there is a tour you don’t see, let us know! 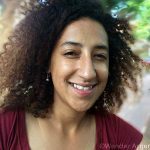 The above tours are a curated list. 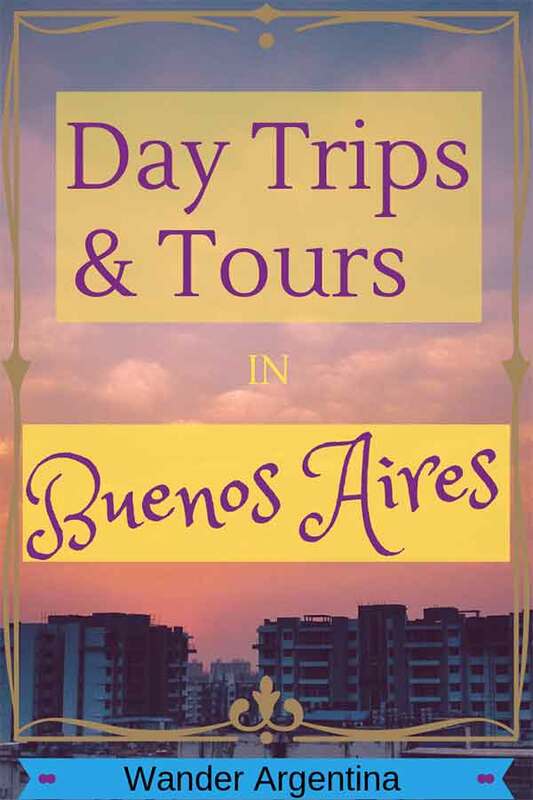 You can also check out even more Tours, Day Trips & Activities in Buenos Aires here.